Walking down a long curving stretch of tarmac road, with buildings towering over you on both sides, you’d be forgiven for not finding the walk to the most famous garden in the country very picturesque. The bend of the path means you can’t see where you’re heading to. You walk along such a tight curve that you can’t see whatever’s coming up until you’re upon it, a situation made stranger by the fact the road looks almost identical for its entire length. And suddenly, after about five minutes of featureless trudging and without any fanfare, there’s a small break in the wall and buildings to the left. It’s the somewhat underwhelming entrance to the most famous garden in Britain. 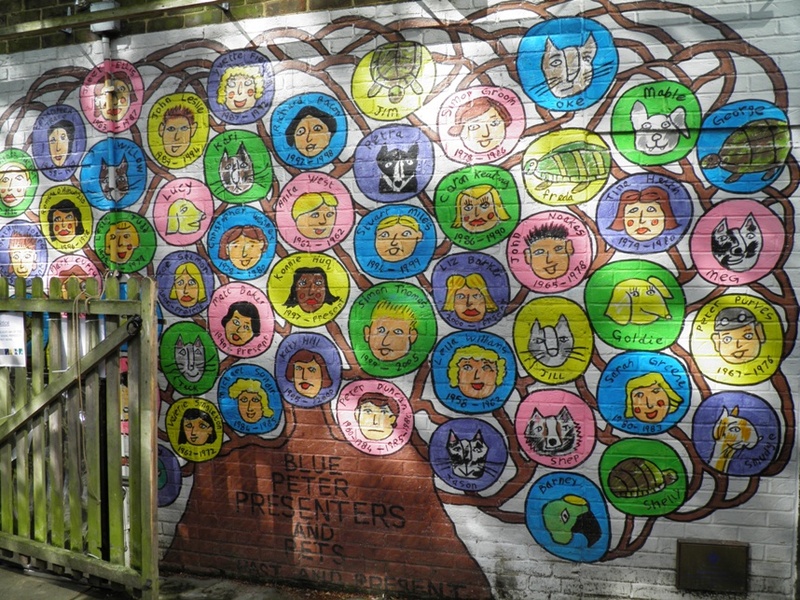 Blue Peter had been running on the BBC for sixteen years before a small outdoor plot sandwiched between the buildings at BBC TV Centre in Wood Lane was designated as the Blue Peter Garden. 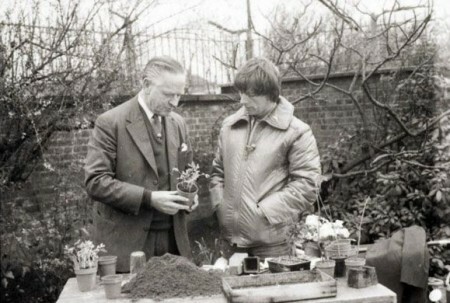 In 1974, the show’s editor Biddy Baxter realised many of the show’s young viewers were living in flats and would be the first generation of youngsters to grow up without access to gardens of their own. 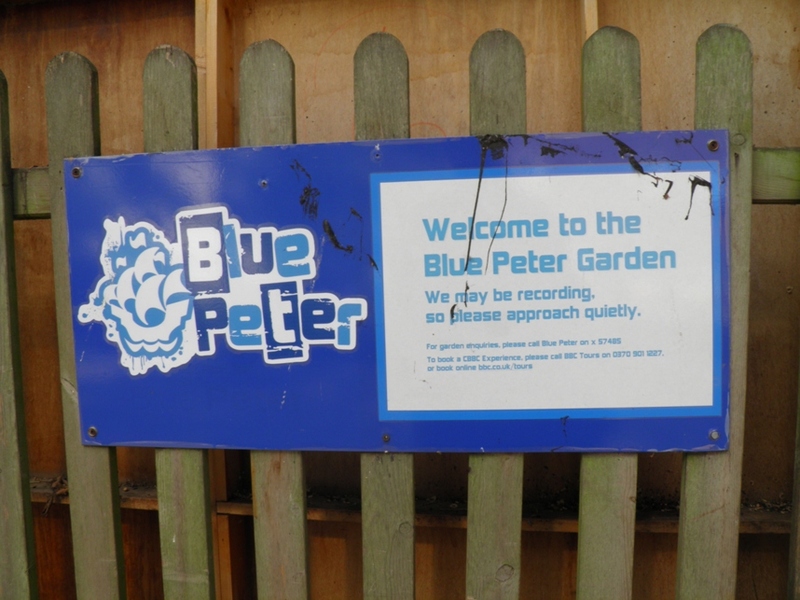 Through the Blue Peter garden, the show would teach these gardenless children about the plants, animals and the outdoor world which the council-built high-rise blocks denied them. The garden’s designer (and man to this day most closely associated with it) was Percy Thrower (1913-1988), the then-presenter of the BBC’s Gardener’s World. The country’s first “celebrity gardener”, Thrower’s garden was unveiled on the show by the presenters Peter Purves, John Noakes and Lesley Judd on 21st May 1974. 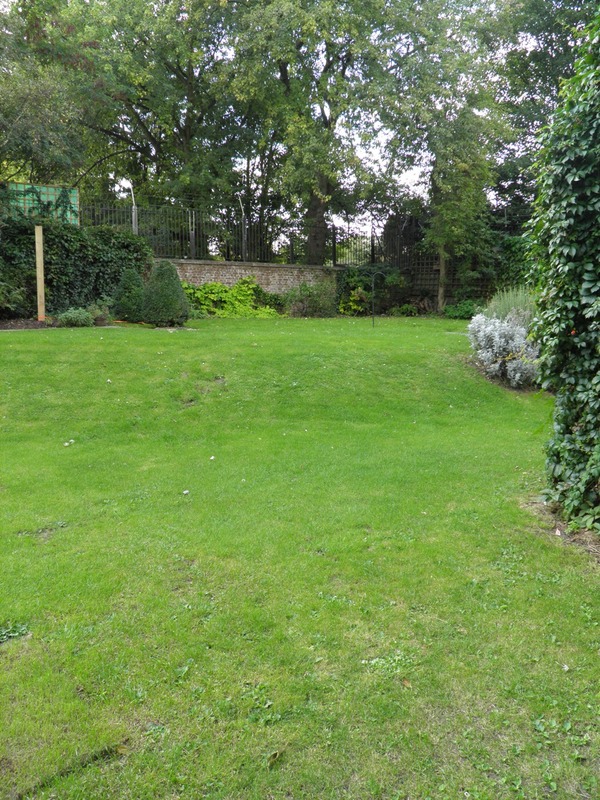 Thrower redesigned the garden in 1979 to look like an Italian sunken garden. 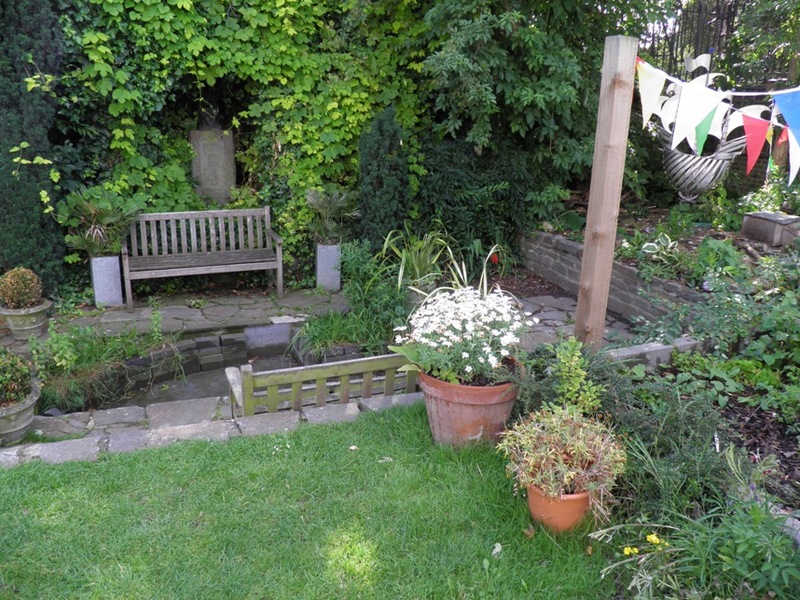 He added a fishpond and small benches which the presenters could deliver links from. 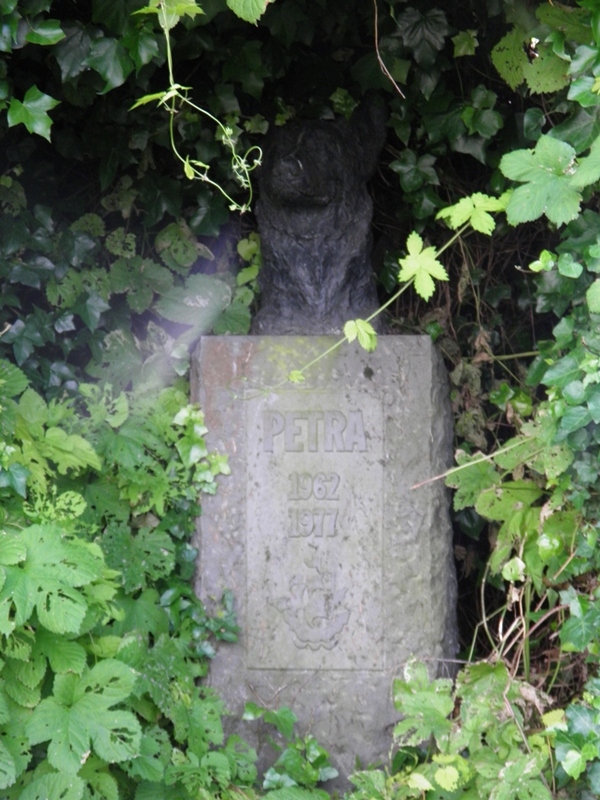 A bust celebrating Petra, the first and most famous of all the Blue Peter dogs, was erected in the same year outside BBC TV Centre. Sculpted by William Timyn (who also made the statue of Guy the Gorilla at London Zoo), it was moved into the garden in 1984 when TV Centre was extended. Pleasingly, when I snapped the memorial, the rain in the air gave me one of those pleasing ghostly smears that would so excite Yvette Fielding on Most Haunted – herself a former Blue Peter presenter. 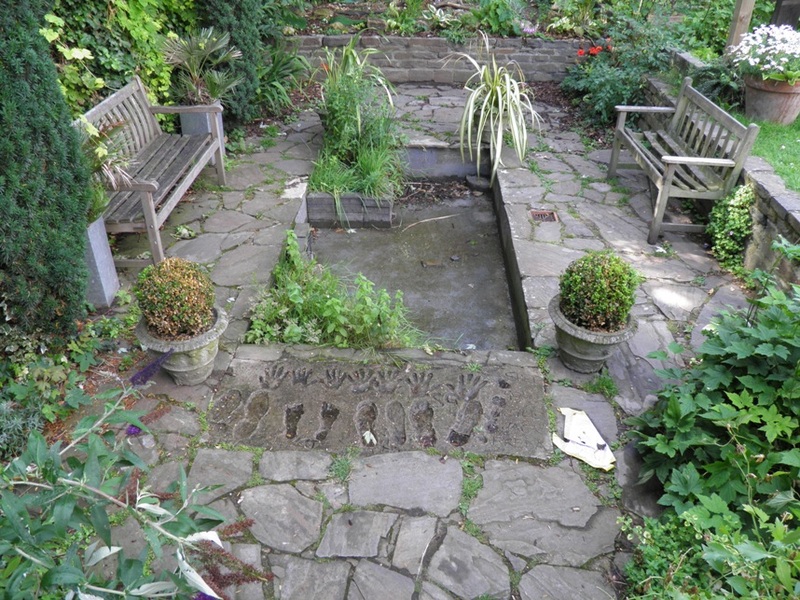 But the most famous moment in the Blue Peter Garden’s history occurred on the night of the 21st November 1983 when the garden was badly vandalised. There had been previous incidents in 1978 and 1980, but they had been minor. 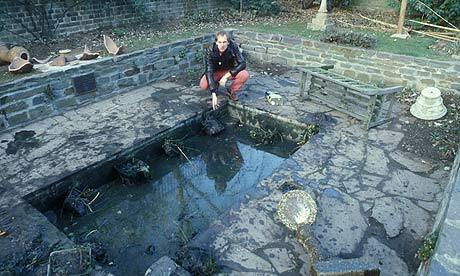 The TV show opened with a sombre Janet Ellis introducing still photographs of the damage – an ornamental sundial had been toppled, plants uprooted, pots smashed and oil was poured into the pond, killing all the fish. The perpetrators were never identified, but in 2000, the footballer Les Ferdinand, who grew up on the nearby White City Estate, appeared on a BBC Choice show called 45 Minutes, saying he had “helped a few people over the wall.” Following a front page in The Sun proclaiming “Blue Peter Garden was Trashed By Soccer Star Ferdinand’s Gang”, Ferdinand recanted his claims. 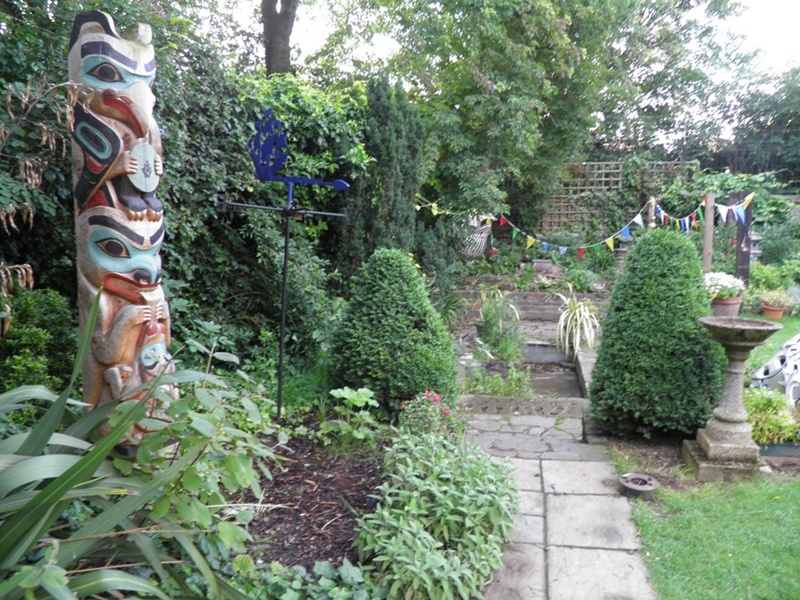 In the intervening years, George the Tortoise was buried in the garden along with all manner of time capsules, and the garden’s been decorated with all manner of statues and sculptures celebrating the show. Perhaps there’s nothing that sums up the show’s legacy better than the large mural by the gate on the way in – an absolutely charming picture of the show’s presenters from the very beginning. 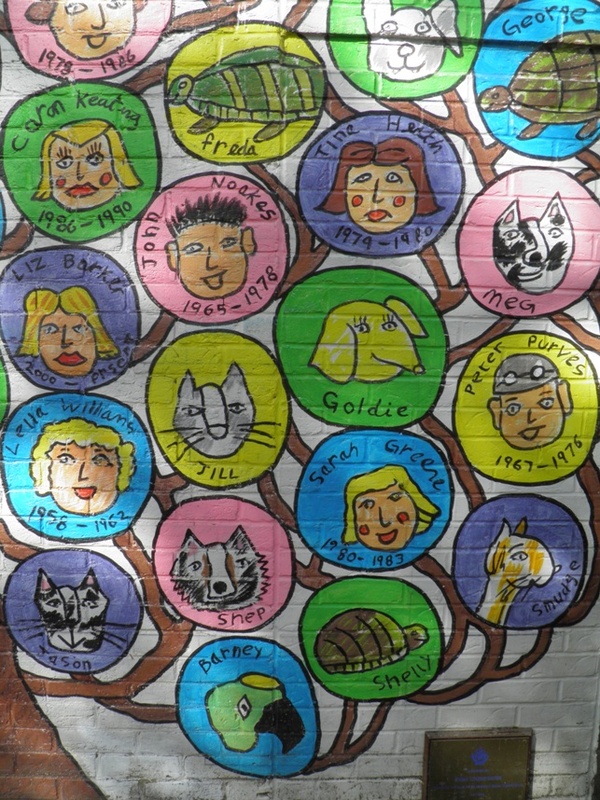 It’s as if Keith Haring had been brought up a nice middle-class boy in W12. But the latest development in the garden’s story is not a positive one. The BBC announced in July 2009 that they would be moving the Blue Peter Garden to Salford, as part of the BBC’s move out of London to Manchester. In February 2011, it was decided that the new garden would be situated on the roof of the BBC’s Northern headquarters. 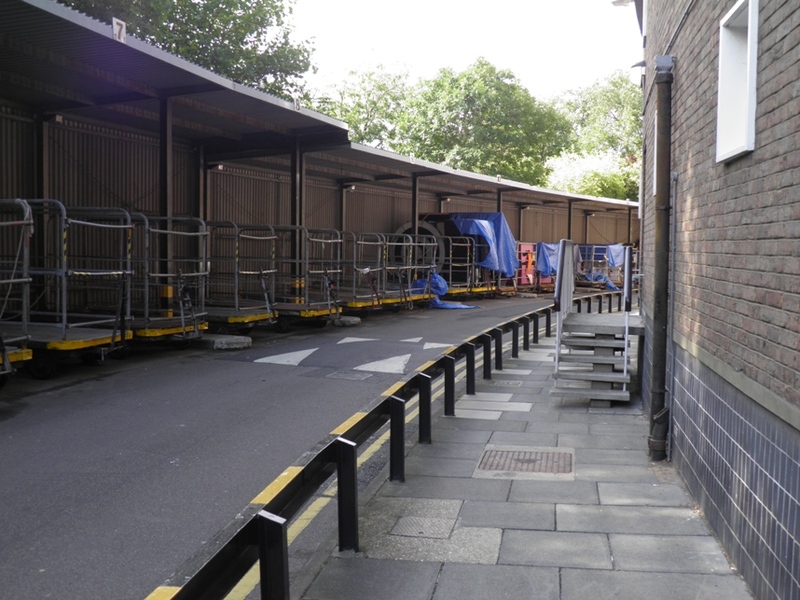 As far as the old one was concerned, there were talks of it being opened to the public – as it backs on to a park, the wall at the back could be knocked down to allow public access. 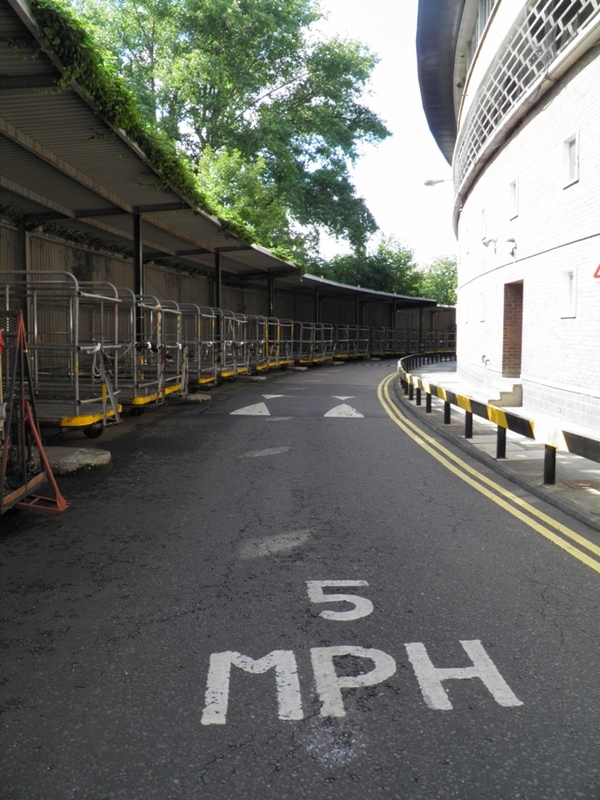 In July 2011, when the BBC announced that TV Centre was officially up for sale, I went along and took the photos above. 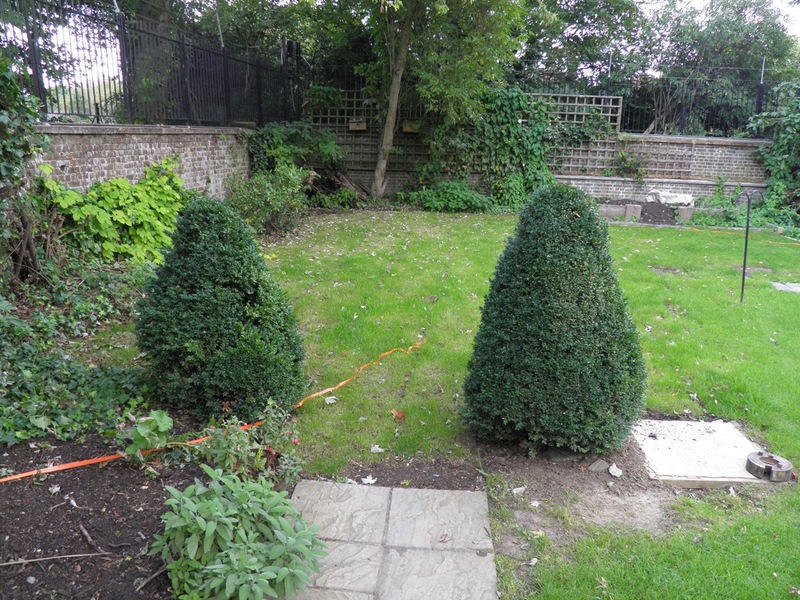 Two months later, I popped back – and the garden has been almost entirely dismantled and put into storage. Remember the iconic sunken pond? Well, it’s been filled in and turfed over. It’s now less a garden and more a stretch of lawn. 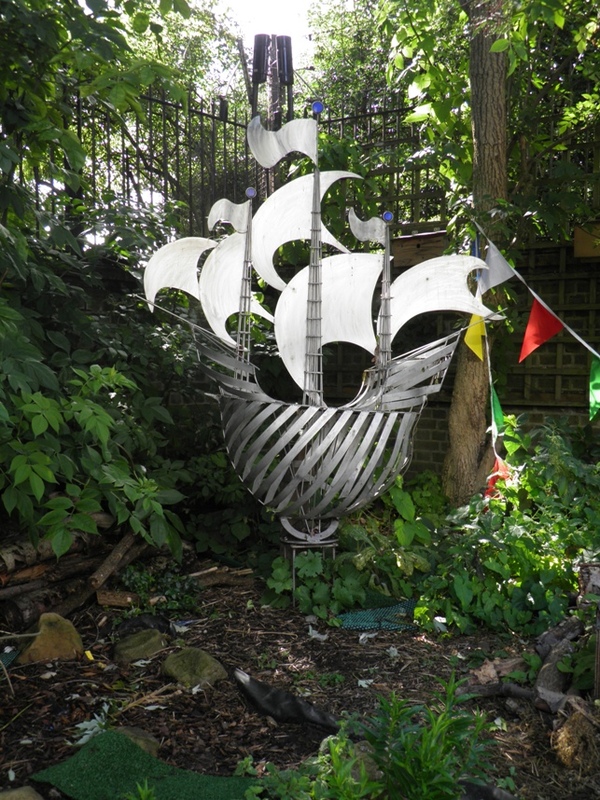 There are all sorts of reasons the Blue Peter Garden has gone. Now Blue Peter’s moved to Salford, the garden is no longer needed. The garden’s probably never been less relevant to children than it is today. And yes, the only reason any of us care about it is largely due to a pointless and sentimental nostalgia for the TV of our youth.You can’t preserve things for ever. The BBC’s a business. 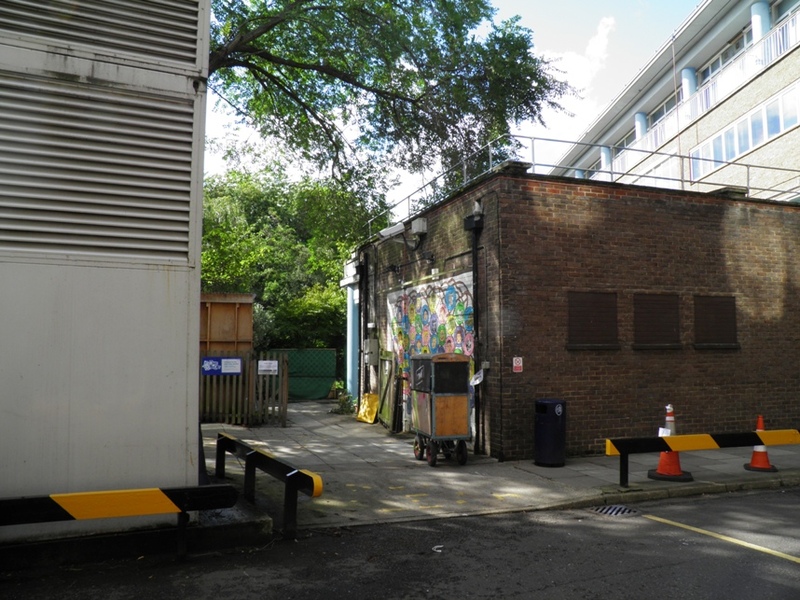 But there’s something sad about such a famous patch of ground – a place started with such noble intentions and used to inform and entertain so many generations of British children for so many years – just being shut down and grassed over with so little fanfare.